We end the year with these four dates in France, Italy, Portugal and the United Kingdom, which will complete the 2017 presentations. However, there are still other places to present the revolutionary material from PORCELANOSA Group, KRION K-LIFE. 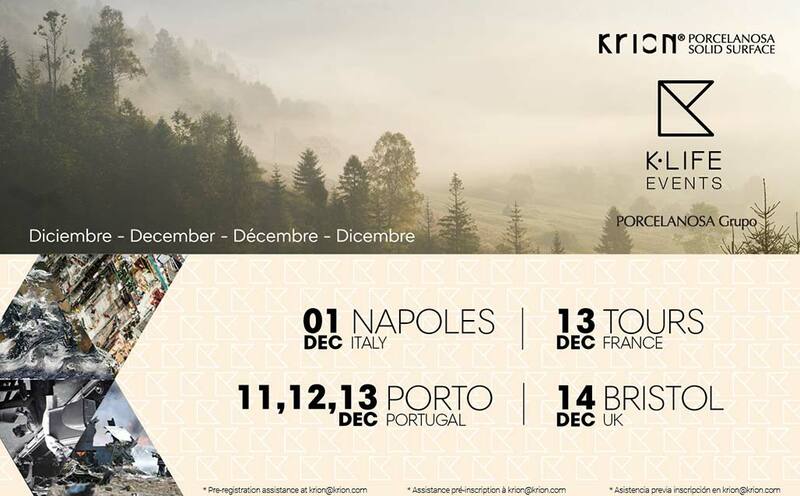 With dates closed until February, and the possibility of extending the tour of this travelling exhibition, K-LIFE Events will continue to travel around the world in order to present and explain the what, how and when of the material which contributes to improving our quality of life.